All of the 12 Days of Heartwarming Christmas ebooks are going on sale during the month of April! 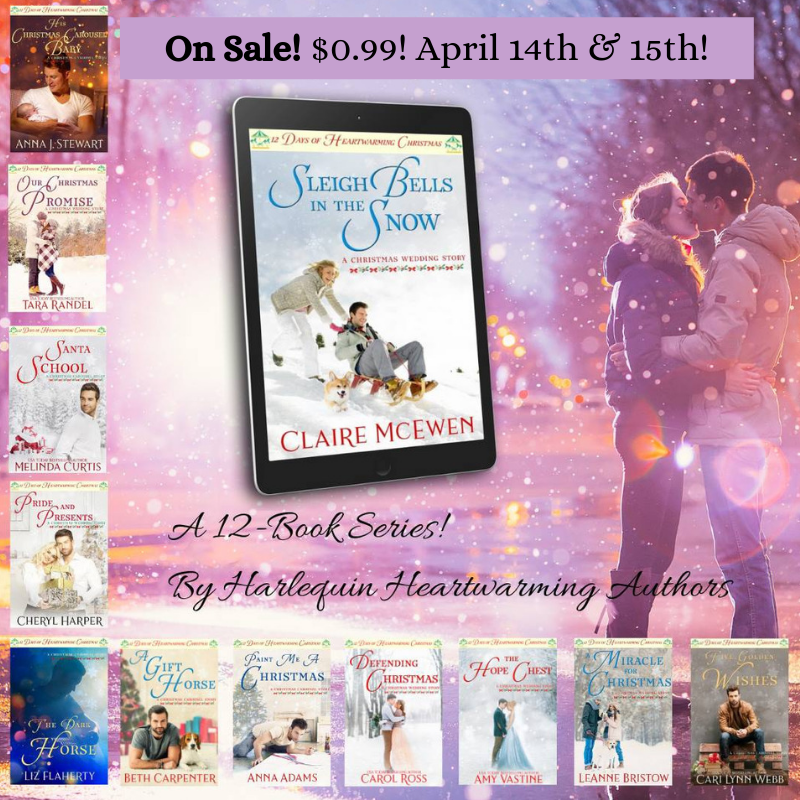 My book, Sleigh Bells in the Snow, will be on sale for $0.99 on Sunday, April 14th and Monday, April 15th. Then it will go up to $1.99 on April 16th and April 17th. Then it’s back up to the usual price of $2.99 after that. Want to know more about Sleigh Bells in the Snow? Read here. Here’s a list of when ALL the 12 Days of Heartwarming Christmas books will be priced at $0.99. And my apologies, but I missed the sales for Melinda Curtis’s Santa School and Anna J Stewart’s His Christmas Carousel Baby. I’m a wee bit late promoting this opportunity! But here’s what’s available at $0.99 starting today. And remember, for the two days after a book is priced ninety-nine cents, it only goes up to $1.99. Then it’s back to regular price. Also, all of these books are currently available for free if you’re a member of Amazon’s Kindle Unlimited. Enjoy the sale and the stories! Friday and Saturday 4/12-4/13 Defending Christmas by Carol Ross.